A sleek yet commanding bush, the YS Tortoise Air Vent Cushion Styler 120CS1 is made with all natural boar bristles and is specially sized to suit all needs, even for blow drying. 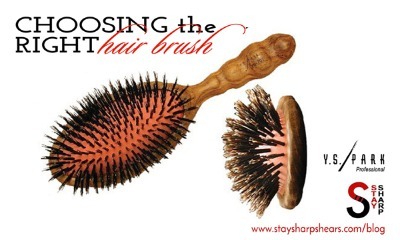 The long heat resistant boar bristles smoothly grab and lustrously straighten the hair resulting in a finish incomparable to any other. With a super light weight Silver Nano Anti-Static body, the handle's comfort grip is engineered with air holes built-in to prevent clammy hands, providing the stylist incredible control over each stroke. Gentle tactile grip, dimpled for an organic feel, the YS Park Tortoise Air Vent Cushion Styler 120CS1 is highly effective.